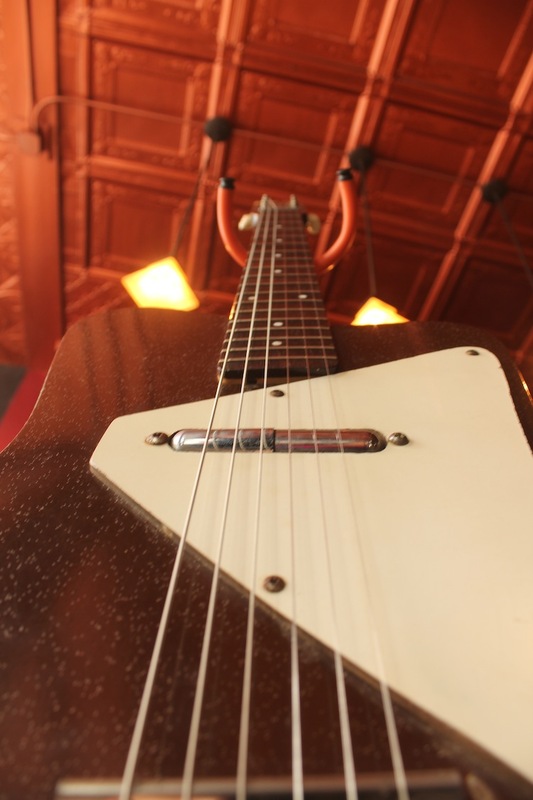 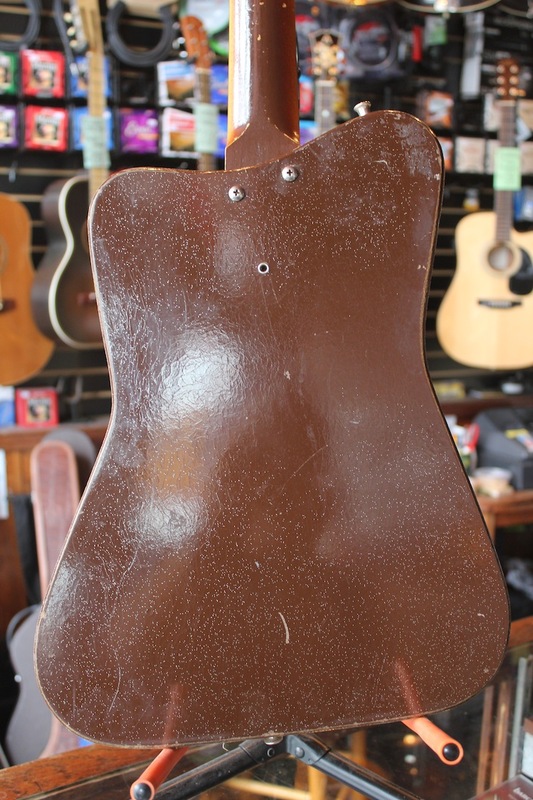 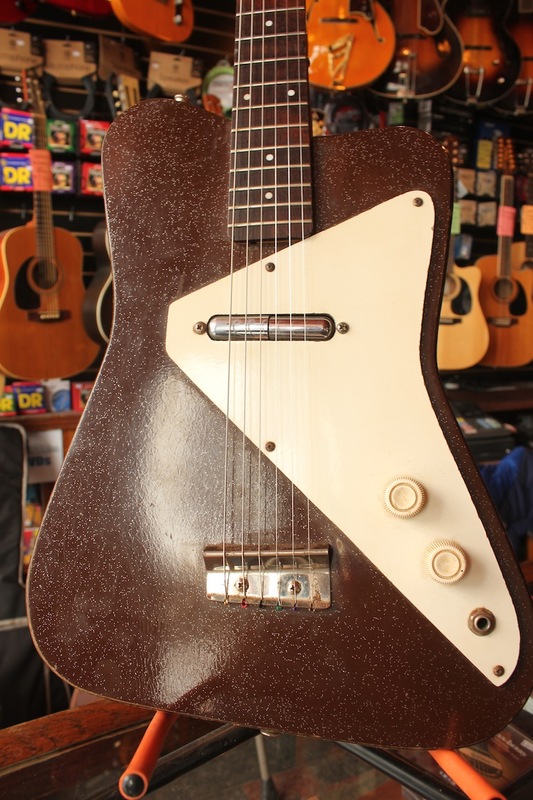 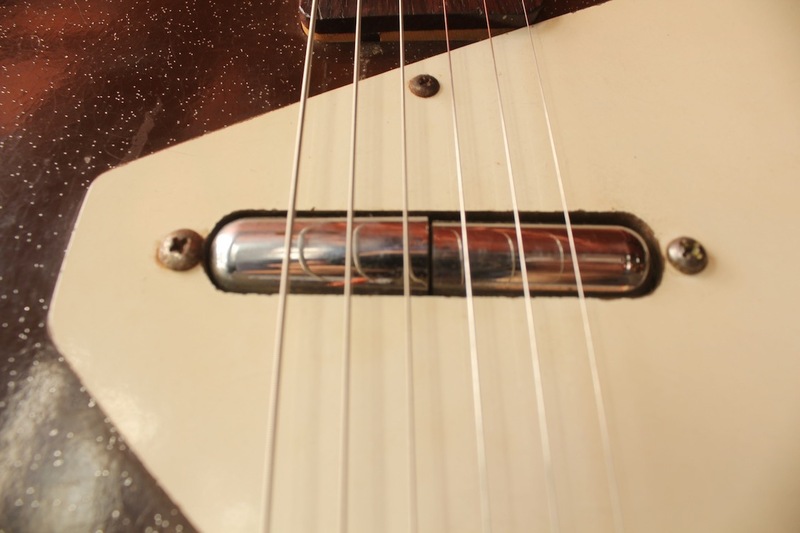 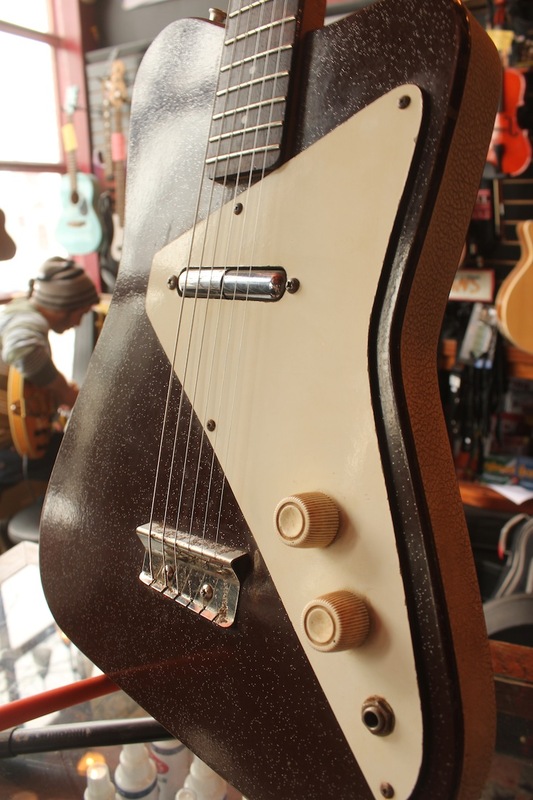 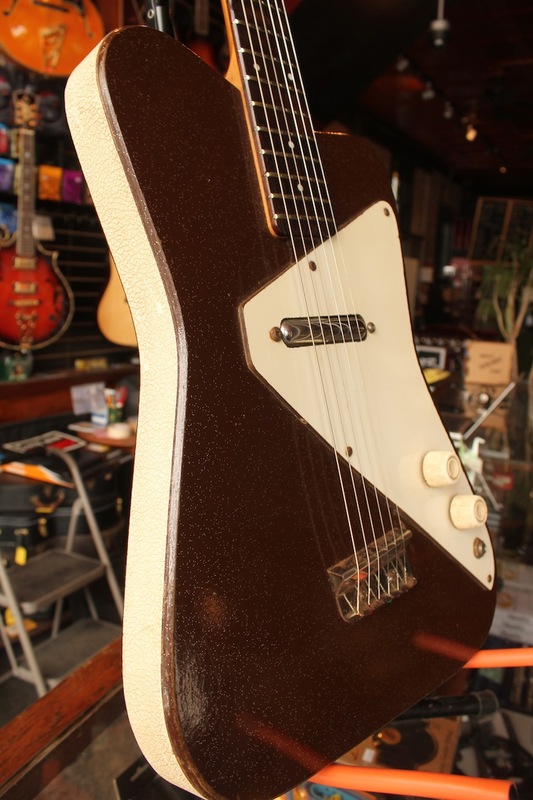 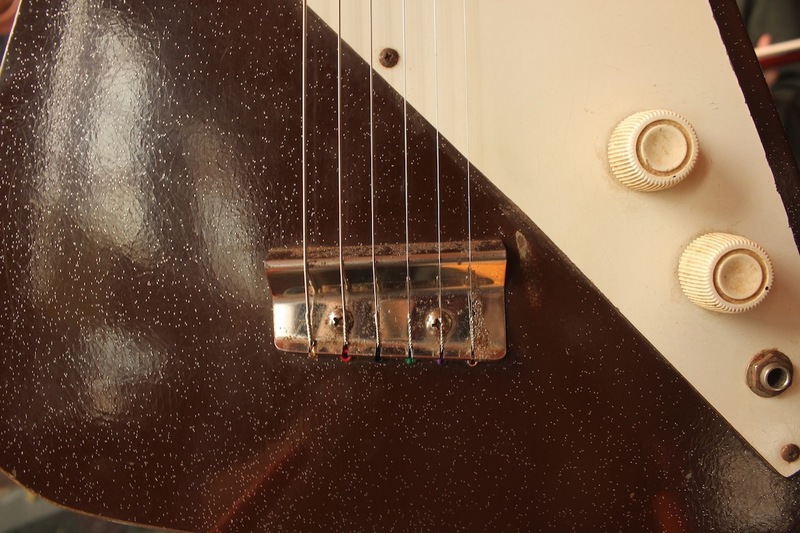 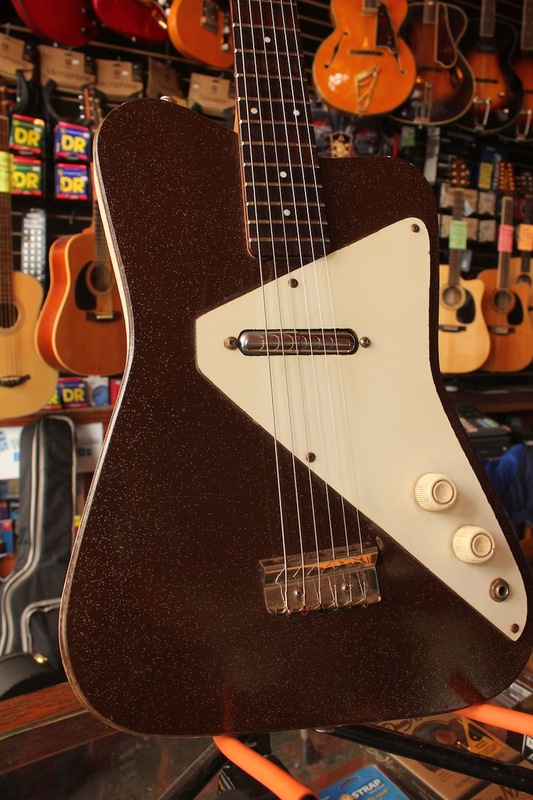 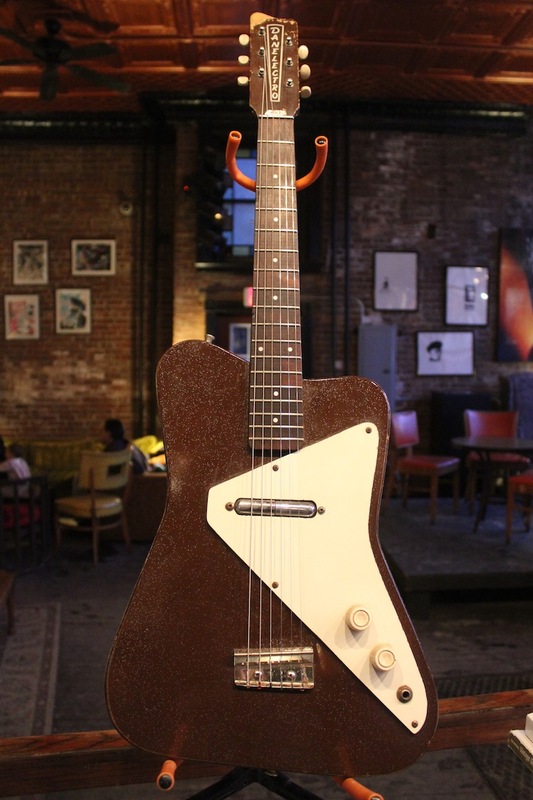 Squarish offset masonite body with vinyl edging, one lipstick pickup, white baked melamine trangular pickguard, Brown with speckled accents only, introduced in 1963 and phased out in 1964. 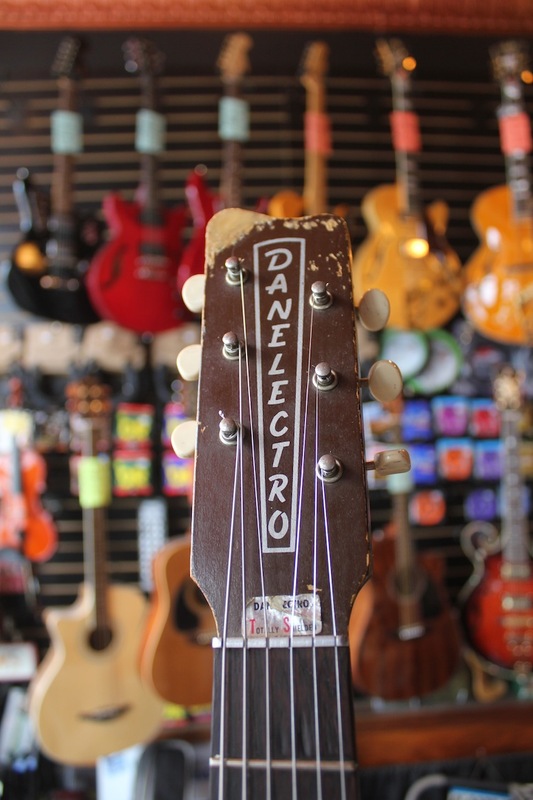 This rare Danelectro Pro 1 is hard to find and is considered the holy grail by some Danelectro collectors due to its limited production between 1963 and 1964. 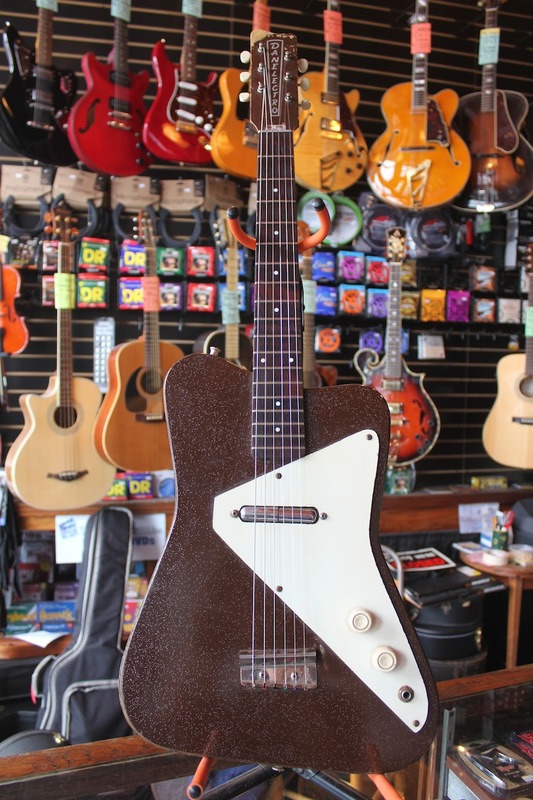 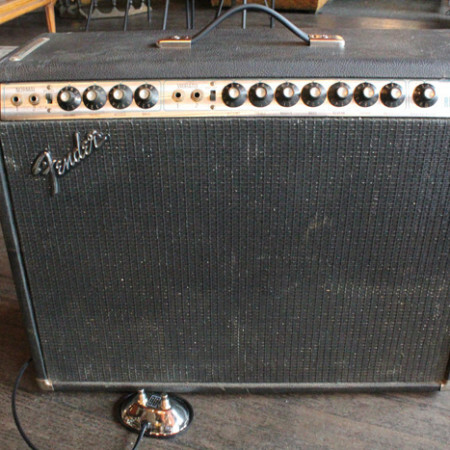 Comes equipped with tons of retro vintage mojo and a shorter scale neck making this a fun guitar to play. 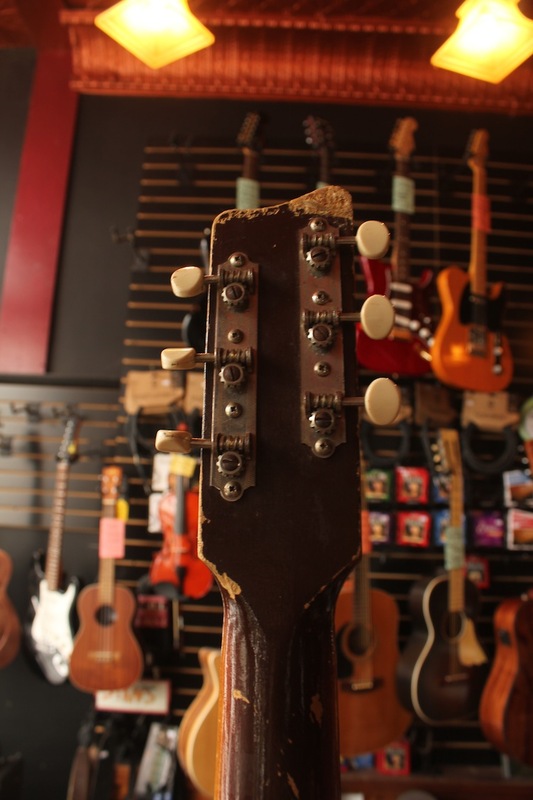 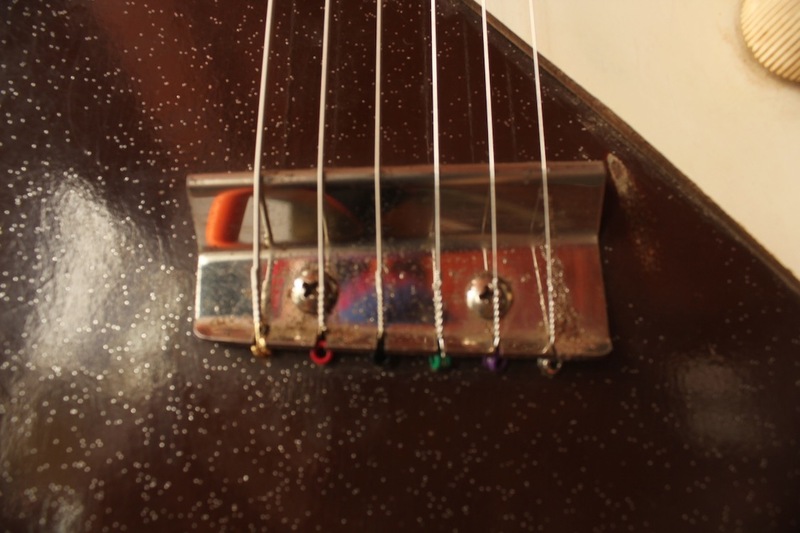 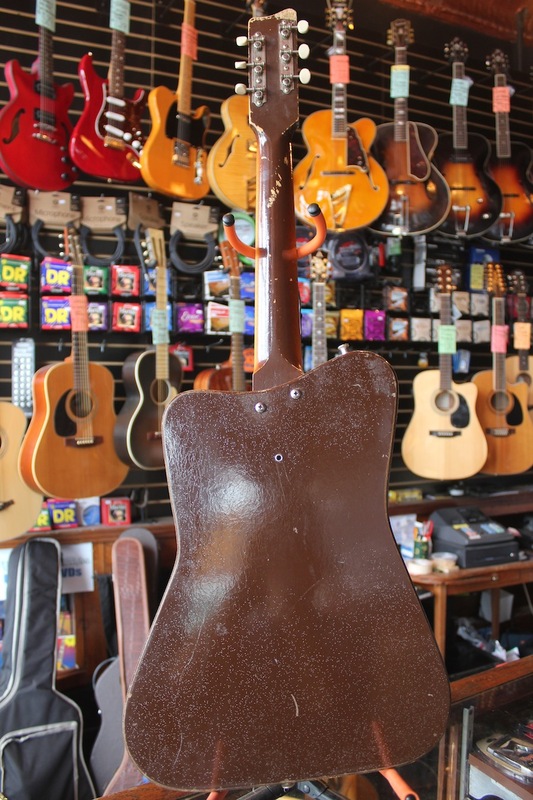 The guitar is in very good condition with some wear on the headstock and a bit of rust on the bridge, screws, and jack. 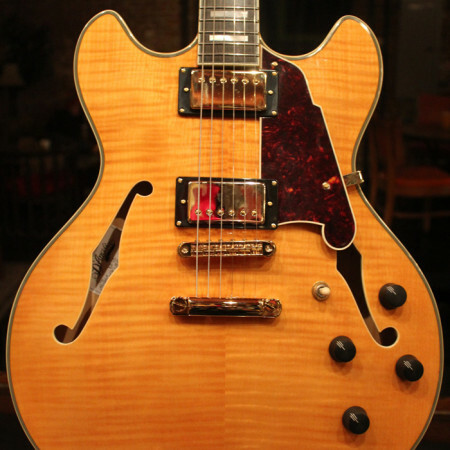 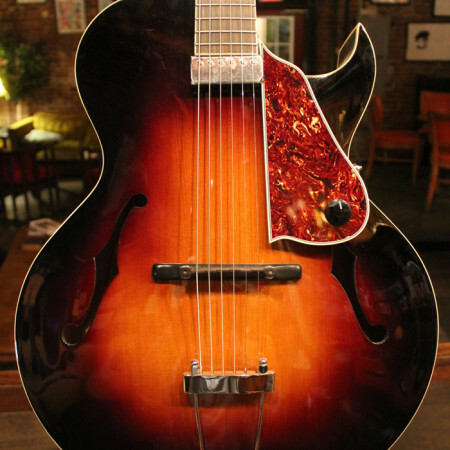 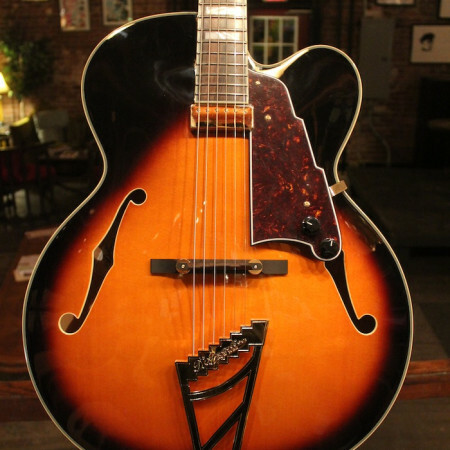 Yet it is fully functional with even and smooth playability all the way up the neck and the lipstick pickup sounds great.